The Holidays are over so lets wash off the holiday grime with this all natural Oatmeal Soap by Sappo Hill 100% Vegetable Oil. There is no doubt that this soap falls into the Christmas Holiday Essence Class. Smells like cinnamon, vanilla and even pecan pie (just saying). The one thing that really captivated me in this soap is the Oats. These oats are all Organic and they are rough and tough cut oats meaning they actually will scrub oppose to just melting away like most Oatmeal laced soaps (ref: Reviva Oatmeal Soap). 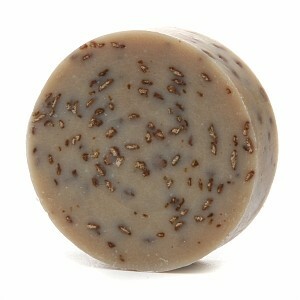 This soap has so much oatmeal packed into it that you might just want to eat it for breakfast. Good job Sappo Hill, best oatmeal soap yet. This soap does not lack quality at all, and for $2.50 for a round bar, it is a great price that will make you feel happy again that you did something right for the biggest organ of the body. Your Skin. Seriously the best soap! I buy it at Whole Foods and Sprouts for under $2.50. I’ve tried other brands, but keep coming back to Sappo Hill. I agree…Really Good Soap for the buck…Thanks for the comment….